Social Media trends that are taking over this year! What does your morning coffee say about you? 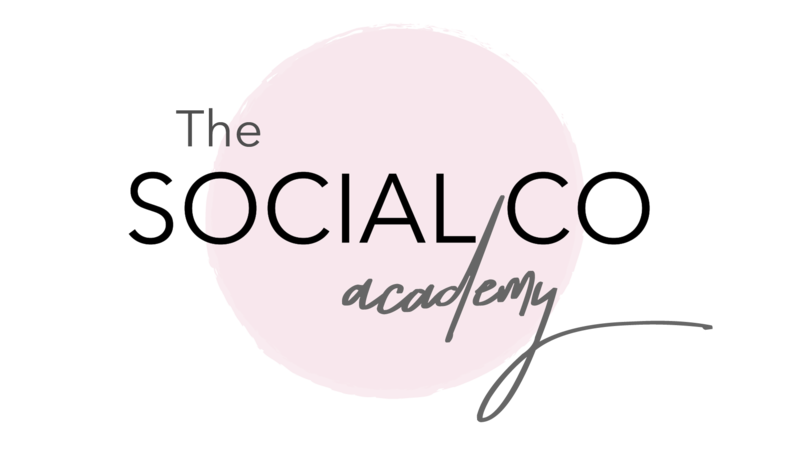 Here at The Social Co Academy, we understand that it can be difficult for businesses to outsource their social media requirements to an agency. That’s why we offer a Strategic Social Media Workshop to help you learn how to become a social media superstar! In our Strategic Social Media Workshop, we’ll take you through the basics (and not-so-basics) of using social media for business. We’re not talking fluffy content about why your brand should be on social media – you already know why it’s important! Instead, we’ll be taking you through a step-by-step guide to social media success. By the end of this workshop, you’ll be a strategic social media management guru, and you’ll be ready to take your business to the next level online! What is a social media strategy and why is it important? Creating amazing content for your brand – what works, what doesn’t and how to create it! Okay, now you’ve got great content – but how do you get it ‘out there’? Which social media channel to use when – and for what content? Who is our Strategic Social Media Workshop for? Our Strategic Social Media Workshop is designed for groups of 15-20 business owners, social media managers or marketing professionals who are looking to increase their digital marketing knowledge and skills. Our workshop is best suited to professionals who have a basic knowledge of social media for business, who have social channels established or an understanding of why social media is valuable for business. Want to book in a Social Media Masterclass? When we receive your booking request, a member of our team will be in touch to provide you with a quote. Of course, every business is different, that’s why we offer custom training workshops that can run from 1-4 hours per session and are tailored to suit your business, level of experience and learning requirements. Please contact our team for a quote for your custom training session. Now you know where to start. One of the most important aspects of social media marketing is consistency. Even if you have the basics set-up, without ongoing management, your social media marketing efforts will be in vain. Our agency Melbourne Social Co offers a range of packages for businesses looking to begin, expand on or capitalise on the ‘noise’ their brand is making in the digital world. Contact our agency team for more info. Copyright © 2016 Melbourne Social Co.